These roles are laser-focused on problem-solving skills. They may be less common on traditional org charts, but they are essential to high-functioning teams. You’ll note classic titles like “VP” and “Director” are missing from the list. Titles assigned by H/R are important, but so often hardwire us to limited task assignments and accountabilities. They don’t speak to thinking skills or problem-solving skills – key qualifications for fluid organizations who need to change how they operate. Perhaps we need something in the middle? Enter Agile, a methodology for solution design that aligns well with the more dynamic models we’ve been discussing. It emerged from IT, but brings with it flexible charters, movable scope boundaries, and fluid participation. That sounds a lot like the future of work we’ve imagined. And Agile offers faster results than traditional “waterfall” models, dated approaches that deliver answers in annual increments, often after requirements have changed. Who doesn’t need to move faster in today’s demanding business environements? While personas like these seem more familiar than our skill-specific, hypothetical #orgdna roles, they are still generalized. This feels like a step in the right direction. And there are definitely overlaps. 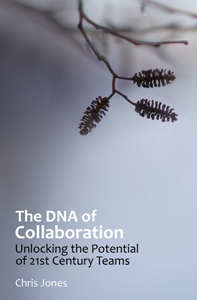 I’ve updated the #orgdna #futureofwork Coggle to show this. Q1. On Agile Personas. How might generalizing roles into Agile Personas make team and/or process design more fluid? Q2. Focus on OD Mindset. For team builders, do Personas offer a useful conceptual middle ground between current state hierarchy/specialists and skill-based Roles we’ve been discussing? Q3. Changing OD Mindsets on Key Roles. In practice, how might team builders leverage the power of conceptual Agile Personas and/or our skill-based Roles? Q4. Titles. Are they still important? Q5. Can Generalists take Action? Or do team members without task-specific accountabilities or authority face challenges? Much to discuss here, as unpack our conception of roles in the organization, with a social complexity overlay. I hope you’ll join us. ABOUT #ORGDNA. If you’ve been following along, you’ll know our #orgdna conversation on Twitter is gaining momentum. What will the future of work look like? How can we get there? See our new #orgdna META page for a little more background on our approach and objectives. And, as always, we’ll see you online. This entry was posted on Friday, April 20th, 2018 at 2:35 pm	and tagged with aggregators, agility, catalysts, connectors, designers, models, personas, practitioners, problem solving, roles, stakeholders and posted in agile, Uncategorized. You can follow any responses to this entry through the RSS 2.0 feed.